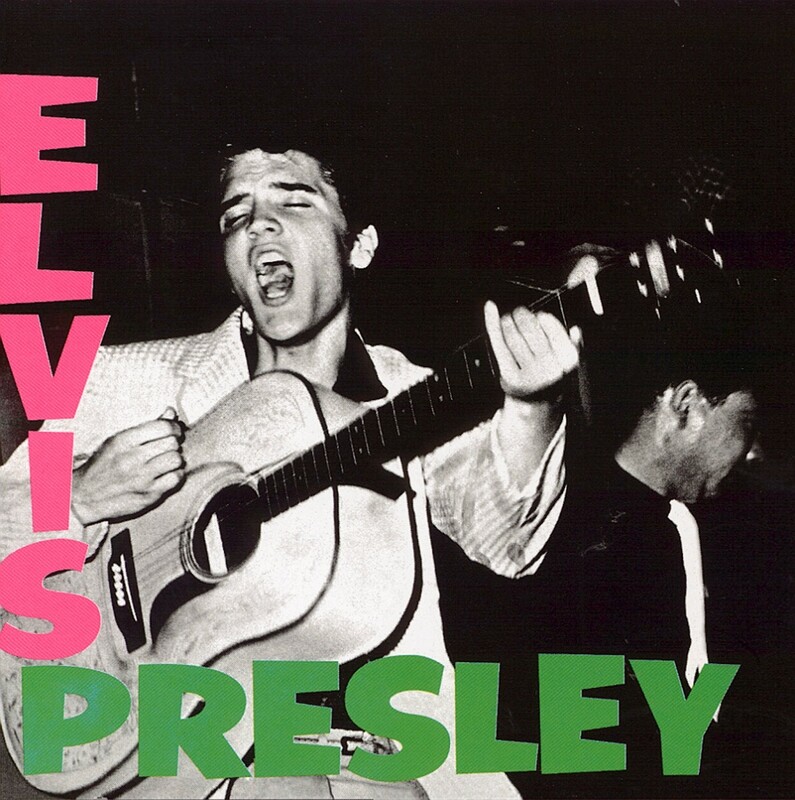 Here is the cover to Elvis Presley’s self-titled debut album released on March 23, 1956 featuring what is known as the “Elvis Tonsil“ photo. 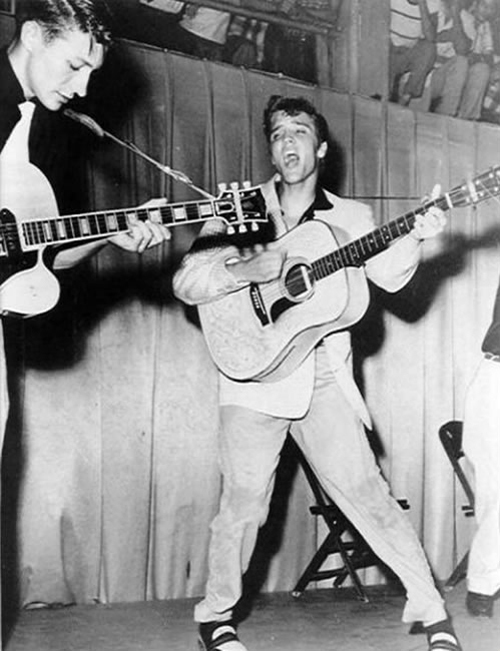 The original un-cropped “tonsil photo” shows bassist Bill Black behind Elvis and guitarist Scotty Moore’s hand and guitar neck. 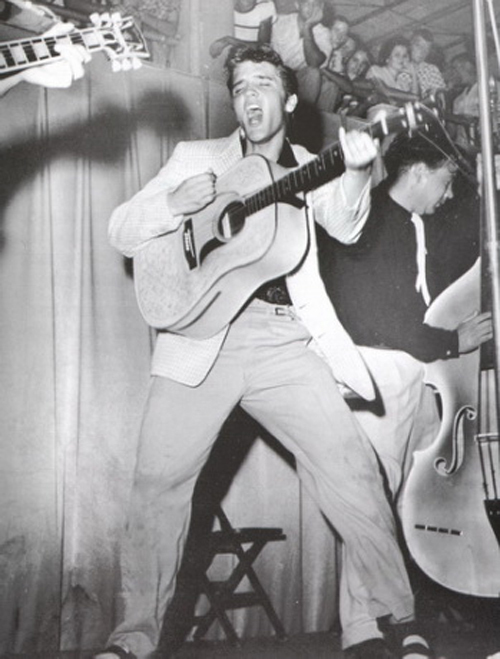 The photograph was taken by a local photographer named William V. “Red” Robertson during the second performance of the Elvis Presley concert at Fort Homer Hesterly Armory in Tampa, Florida on July 31, 1955. The Armory is located at 522 N. Howard Avenue, Tampa, Florida. 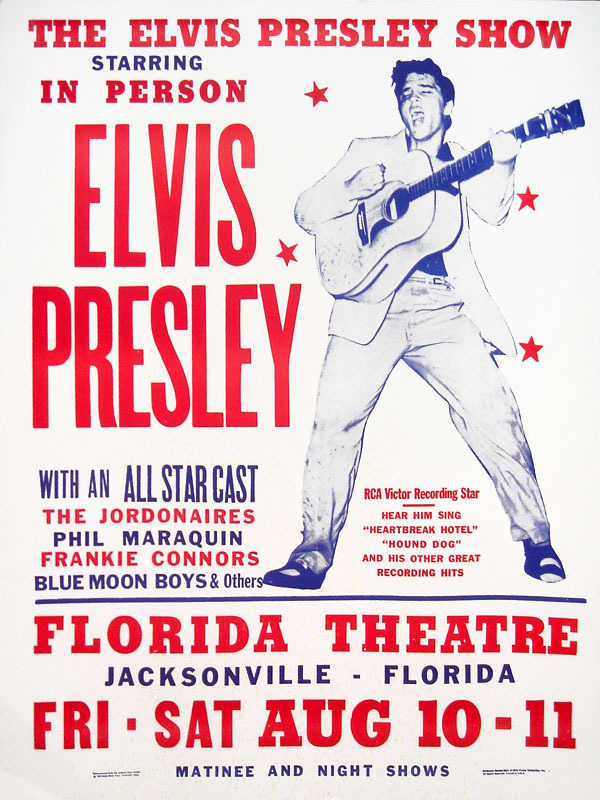 The iconic cropped version of the photo would be used as not only the cover of the first Elvis Presley LP from RCA but it was used extensively in newspaper and print to promote future shows. It also became a famous show promotional print. 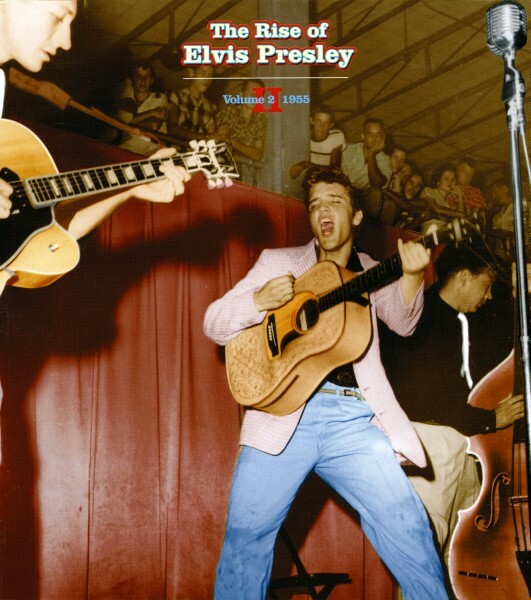 This CD “The Rise Of Elvis Presley Volume II” even has a colorized version of the famous photo. 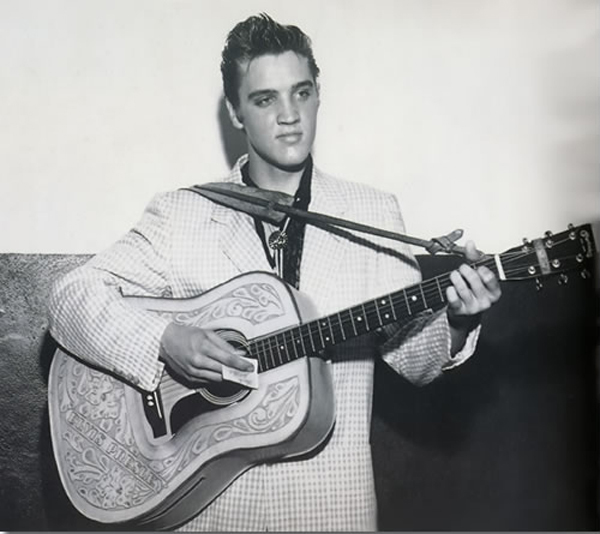 I’m not sure how true these colors are to what Elvis was actually wearing that day but he can rock the hell out of a pink blazer.